Director RYOO Seung-wan has cast brother RYOO Seung-beom and actress KONG Hyo-jin in an expanded remake of his 35-minute short film Dajjimawa Lee (2000), originally made exclusively to screen on the internet. Actor LIM Won-hee (Le Grand Chef), who also starred in the original, will join RYOO and KONG in the updated version. Dajjimawa Lee became a sensation when it was released over the internet, receive more than a million views. The film followed on the success of director RYOO’s low budget astonishing debut Die Bad, a US $65 000 action film with gripping if gritty visuals and an adroitly woven plot. Dajjimawa was intended as a parody of / homage to Korean action films of the 70s. The term dajjimawa was often used in the film industry to describe action scenes. Dialogue in RYOO’s spoof was often taken verbatim from genre films of that era, such as “Kyung-ah, there’s nothing do. 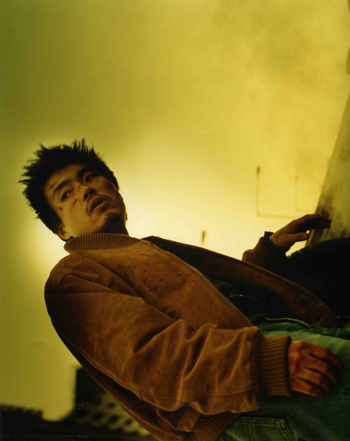 How ‘bout a little kiss?” RYOO reportedly was also deeply influenced by the films of cult-auteur KIM Ki-young. The new version, produced by Owe-yoo-nae-kang, appears to have sidelined RYOO’s period-set zombie action feature Yacha for the time being.